Nobody is a stranger to the fact that the flu season this year is especially harsh. Countless news outlets across the country have been continuously reporting the impact the disease has had on Americans, thousands of whom have died from it. It is a naturally aggressive strain that is known for causing complications, such as pneumonia and sepsis. Pneumonia is a condition that causes irritation in the tiny air sacs in the lungs that can result in them filling with fluid. Sepsis is life-threatening organ failure that is caused by the body’s extreme response to an infection. H3N2 is spreading quickly because people have not been exposed to it in a while. The more people and communities are exposed to something, the easier it is to build up immunity. There were issues when creating the flu vaccine. As a result, it was less effective than it should have been. What should you do when you have the flu? The most important thing for you and the people around you is to stay home. This not only allows you to get the rest you need, but also keeps you from picking up other germs and spreading your germs to others. Stay hydrated with liquids such as water, juice, sports drinks and even broth-based soup (e.g., chicken noodle). This helps keep the body moving and turns mucus into a thin liquid that you can cough out of your lungs. Take over-the-counter (OTC) cough medicine to ease your coughing. It may be good to get one with an expectorant to help you get that thin mucus out of your body. Take OTC pain reducers, such as ibuprofen (Advil®), naproxen (Aleve®) or acetaminophen (Tylenol®), to help with the fever and aches that come with the flu. Turn on a humidifier to moisten the air in your home to ease congestion. Be sure to use a cold-air humidifier, as a warm mist can promote mold and bacteria growth. Use saline drops or spray in your nose to break up mucus and congestion in the nostrils. If you catch your symptoms early enough—within 48 hours of appearing— you can ask your doctor for an antiviral medicine. These medicines, like Tamiflu® or Relenza®, can shorten your illness and make symptoms less severe. They can even help prevent the flu in people who may have recently been exposed, such as family members. What if you feel worse after receiving treatment for the flu? You experience chills, extreme discomfort/pain, clammy skin or disorientation. These are telltale signs of sepsis. You have difficulty breathing or are experiencing chest pain. The flu does not usually cause these symptoms, so they could be a sign that issues like heart disease, pneumonia or asthma may be developing. You are frequently vomiting and/or having bouts of diarrhea. Without fluids, your body becomes dehydrated and can’t function or recover from illness. If you’re having trouble keeping fluids in, you may need to visit a doctor or hospital to have the fluids given to you through intravenous (IV) therapy. 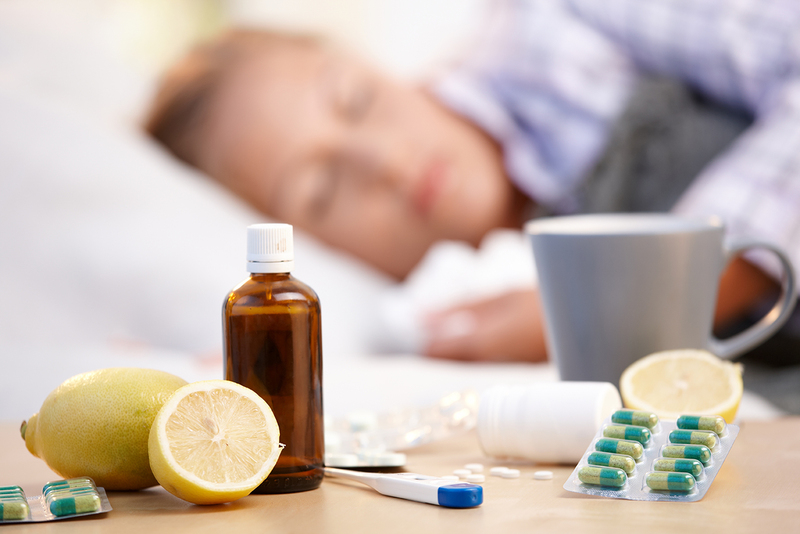 Your fever does not improve, especially after you seem to be over the worst part of your sickness. A consistent fever means that a secondary infection is in your body and requires treatment. Speak to your doctor about what your options are this flu season and remember: There is still time to get your flu shot—and you should if you haven’t yet—but keep in mind that it takes a couple of weeks to become effective. For more information about the flu or to find a doctor to care for your needs, contact us today.